Reno Dental Designs: Reno Dentist | Family, Cosmetic, Implant & More! Dr. West of Reno Dental Designs provides world-class dental services to families in the greater Reno area. Hometown service, care and an experience that’ll make you want to spend more time at the dentist. Reno Dental Designs is focused on helping you discover your healthiest smile as quickly as possible. Join the family today! Nobody wants to miss work to visit the dentist, we offer quick turnarounds that’ll have you back before your lunch break is over! Using the latest technology and a gentle touch we’re proud to offer dental care you’ll come to enjoy. Our in-house expertise allows us to deliver everything from exams to complex bone grafts and implants with the precision you need for a healthy smile. Dr. West is a Reno native dedicated to providing his patients with an amazing, healthy smile free from pain using the latest in technology. Decades of dental leadership experience and education. Providing over 10 years of oral surgery and care in the Reno area. Reno Dental Designs has a professional and fun loving staff! Ron West is a great Dentist. I left Reno Dental Designs knowing that I had received great care. My teeth cleaning was fabulous as well!! Thank you! Reno Dental Designs actually makes going to the dentist stress free. Thanks Dr. Ron West and team. Reno Dental Designs is great! They have been our dentist for the past three years. Went to the Carson office, but love the new Reno location. Great people, gentle cleaning. Great service. We bought into the in-house insurance to save money. Thanks! Truly the BEST around!!! Both Dr. Ron and Dr. Mike were wonderful!!! I had a complicated broken tooth! Took both of them to extract it! Thankfully I had these super heroes to take care of it!!! Bed side manner is on point!!! Great staff to help out too!!! Thanks EVERYONE!!! It all starts with our new patient experience including a full tour and personal interaction to cover all of your concerns and desires. 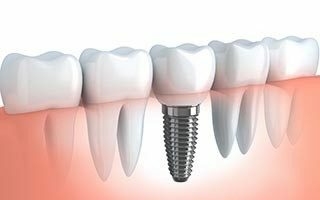 If a tooth becomes too severely damaged to repair due to decay, trauma or improper care a decision may be made to employ one of the various implant options. Our skilled, experienced cosmetic dentists and staff can help enhance your appearance and smile, which often can improve your self-esteem and confidence. 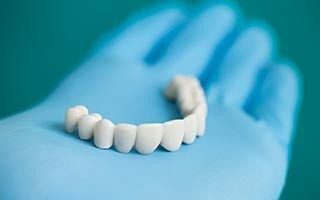 If you are missing more than a few teeth in one area then an implant bridge is a good idea to minimize your costs and maximize your chewing capability. Dental crowns are a secure way to fill gaps and help restore your smile if you have missing or damaged teeth or large fillings that could result in tooth pain. Taking care of your teeth while in braces isn’t easy. We work hand in hand with local orthodontists to provide quality dental care while correcting your smile. If you’re suffering from major tooth damage or placement issues veneers may be the most cost effective way to a new smile, we’ll consult you on your options. Who doesn’t want white teeth?? 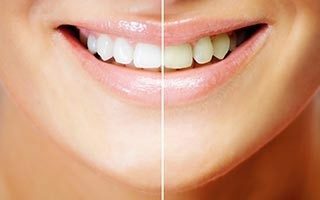 We offer both in office and take home services guaranteed to make your smile whiter or your money back! When’s the last time you were happy to visit your dentist? We’re here to change that. Give us a call and let us take care of you. We’ll work with your budget, schedule and literally put a smile on your face. We’re proud supporters of Helping Nevada and continue to work hand in hand to help give back to our local community. Copyright Reno Dental Designs 2017. All rights reserved.